Work has been awesome lately. Although I’m pretty exhausted, it’s just so worth it. 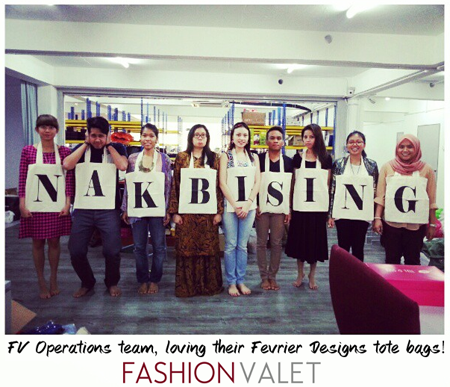 We rebranded to FashionValet.com and launched our new website. We presented Miss Universe Malaysia 2013 to the whole country. We took on brands by awesome local celebrities, which can be found exclusively with us. We took on the gorgeous Neelofa as our ambassador. We are in the process of introducing the different styles of our FV team members on our Facebook page. We launched a bag I co-designed with sometime which sold out completely. 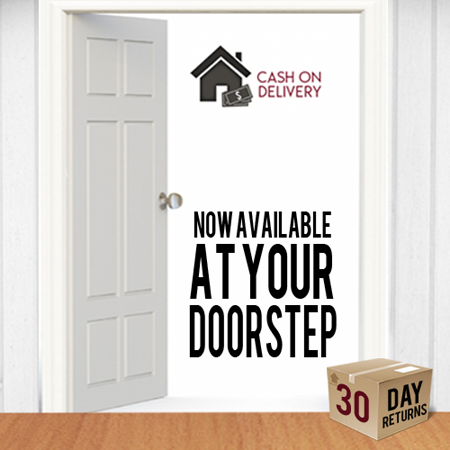 We introduced Cash on Delivery method for customers who prefer to pay cash. We are about to reveal a special something that revolves this special someone. And now, we are working on multiple collaboration projects with designers to co-design collections specially for FV customers. And another secret one that I shall reveal when we’re ready. But you guys probably know what I’m most proudest of. These people posing with their alphabet bags (and those missing in this picture too). Looking back, I know it was really scary for Dean and I to start FV. For Dean to quit his job, not knowing if he made the right decision at the time. We thought FV was a good idea… we had a little bit of money (tiny amount, compared to some of our competitors)… we had our parents’ blessings… so with just a little idea and a whole lot of “Please, God! !”, we just can’t be more thankful for where we’re standing 2 years on. Now, it’s all about scaling up. We’ve got the business to a certain level, but it’s time to bring it up even more. We’ve been working towards this and man… you realize you’re a grown up when you have to do budgets and forecasts and whatnots, and you know it’s your life on the line. Truth be told, a few big companies have approached FV and as scary as that is for me, I have to trust myself in this. The decision of who to choose is extremely frightening because as my dad always warns me in business, be careful of who you choose as your business partner / investor. This stage of my life is really opening my eyes; there’s no manual in life, there’s no multiple choice exam with one right answer. Everything is a gamble and only God knows everything. So who better to turn to, after you’ve done your own research of course. All I can say for sure now is THANK YOU. You reading this.. whether or not you’re an FV customer already, you happen to be my blog reader. And you know who’s been helping and supporting me all this while? From Day 1 we started FV, a huge chunk of my blog readers immediately became customers and deep down I know it’s not always about FV, but it’s just because they want to support me. I know along the 2 year journey there were probably a lot of hiccups, but they forgave and still came back to give me a chance. So if I haven’t done so, please accept my gratitude from the bottom of my heart. May God bless all of you for helping out a girl (and her husband) realise her dream. i never know u at all..but u kinda amazing..really proud of u..and you look really pretty after you get pregnant..
way to go Vivy!!!!! i became FV’s customer because you don and flaunt them everyday dear, i love them!nnas one of your avid readers, i simply love the honesty in your blog..! good luck dear! I can’t see the Sofia bags… Where are they? Congrats Vivy! We must take the risks to be successful. I bet we’ll see FV growing bigger in 10 years time. =)n[your baby da 10 tahun mase tu!!! ]nn~btw, has you replied our emails? regarding the vacancies in FV. the job applications. Congrats vivy! rasa nak menangis jek baca article ni. This is very inspiring, Vivy. 🙂 Congratulations to FV on the many accomplishments for the past 2 years! My sweetheart and I found each other at this space of yours as he read my comment months ago. It was yr blog that connect us both. You’ve been an inspiration, kak vivy and we thanked you too :’) may Allah protect you n yr family. You’ll always have yr supporters 🙂 Xoxo. ur sofina bag already sold out? or not yet publish?ni want it? really agree with u..business need to gamble and i also start business when i am 23 years old. and i will be 25th tommorow, alhamdulillah my business become establish..ur statement above is same like what happen to me and my partner who is my BF also :).